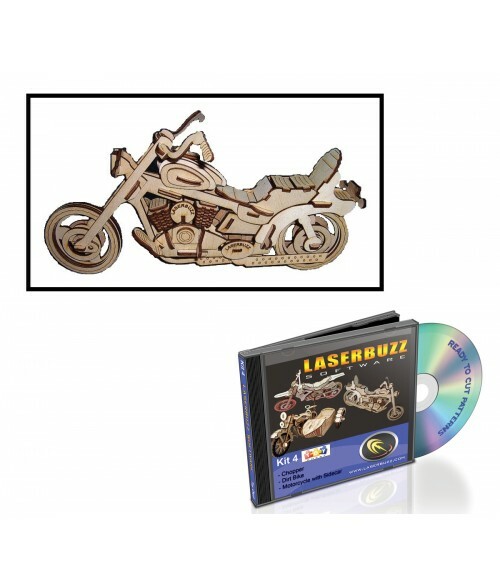 The Motorcycle Pattern Set CD contains laser-ready patterns for a dirt bike with spinning wheels, a chopper with spinning front & rear wheels as well as a motorcycle with side car which has spinning wheels and front end. The extremely detailed vector patterns and instructions are included, making each project a breeze to complete. CorelDRAW 10 or higher is needed to access the LaserBuzz CDs.